Lifestyle professional wedding photographer and video artist based in central Paris. Classic, elegant, unique; WeddingLight Paris produces timeless and beautiful wedding visuals, whether photography or videography for an international clientele visiting the City of Light, but not only. We travel to wedding destinations such as the Loire vallee, Normandy, Brittany as well as provence and the south of France. I have been photographing gorgeous destination weddings and elopements in and around France for ten years. With a keen eye for beauty, light, and composition, we guarantee unique, stylish and fun photographs as well as creative videos of your wedding day that anyone in Paris can offer. 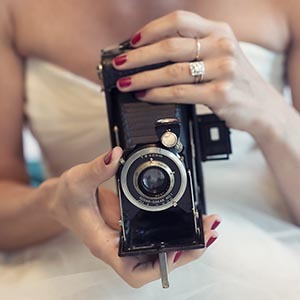 While your wedding will only last a day, your photographs will live on forever for you and your loved ones to cherish. I wish to document your day with a lighthearted approach in a fun, lifestyle and documentary manner. The most important thing is for you to relax with your photographer, have fun on camera and ideally forget about us while you enjoy this special time with freinds and family. We love fun and natural visuals. Because of our lifestyle approach and our easy personality, your photographs will come alive and bring back joyful memories of your romantic celebration in Paris and France. I have the energy and savoir-faire of a well experienced professional wedding photographer. Booking WeddingLight for the most important day of your life will guarantee you unmatchable client services, peace of mind, lots of fun, and gorgeous one-of-a-kind visuals. My name is Olivier and my passions are numerous and photography and video are on top of my list. My artistic and professional experience ensures the loveliest images of your wedding, elopement, or engagement photo session in France. I specialize in contemporary wedding photography with a stylish and elegant approach. My work speaks for itself. If you’re curious please have a look at my wedding gallery . If you’re interested in working with me or have any questions, feel free to send me an email with detailed information about your wedding or give me a call at +33624967157. With over 20 years as a professional lifestyle photographer with a unique eye, i have collaborated to magazines such as Marie Claire, Stern, the New York time, the Australian, gourmet traveller .... I have photographed intimate and larger weddings in all 5 continents. We produce romantic & lively wedding videos in the same style as we would document your wedding with creative and unique photography. Do not miss our selection of wedding videos in our wedding gallery page. It is great to meet in person if possible so that we can discuss your dream wedding in details. At the same time, we can take this oportunity to invest in an engagement session in Paris. I look forward to hearing from you to assist you with documenting the most amazing day of your life!